Sometimes, when you start to feel like you’re coming down with something, there are things you can do to ward it off. Get to the ocean and breathe the salt air. Drink healing teas (I like Traditional Medicinals line, especially Throat Coat and Gypsy Cold Care, but watch out for sensitivities to ingredients) with some honey. A teaspoon of honey by itself here and there can be helpful, too. In that case, break out the chicken soup. You can make your own, even if you are sick, pretty quickly and easily. Some chicken broth, leftover cooked chicken if you have it, pastina, carrots, a tablespoon or so of tomato paste, a clove of garlic (that you can leave whole and take out before you eat it). And then get back on the couch. Love that tea brand! I use it for…er…stomach issues I have. 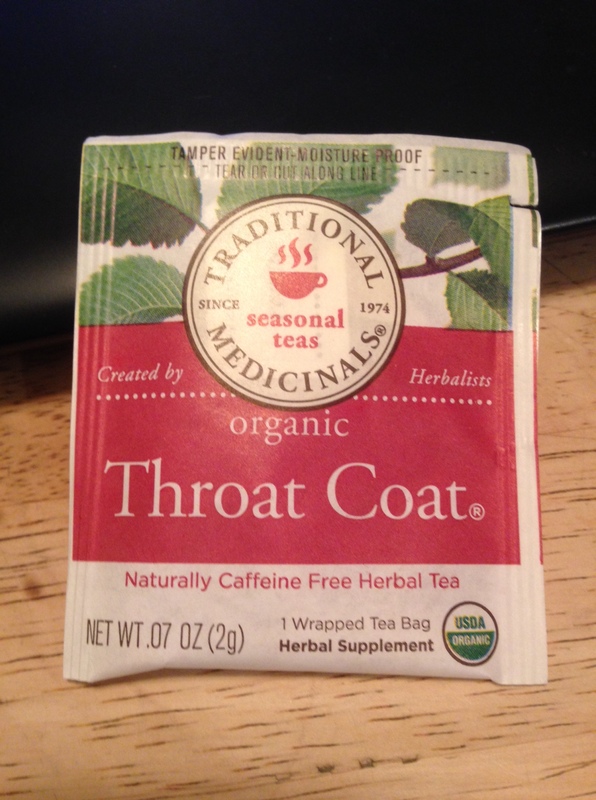 Must grab the throat coat next time I need that! Thank you! Hope you stay well!